Where do good girls go? Good Girls Go to Paris! I had a couple of friends in town this weekend, and I knew we’d have a fun time. As usually happens, our time together centered around chatting over meals. We grabbed lunch at Buddy’s Pizza, and then dinner at Crave Lounge, which I’ll write about soon. After that terrific dinner, we headed out to The Well. 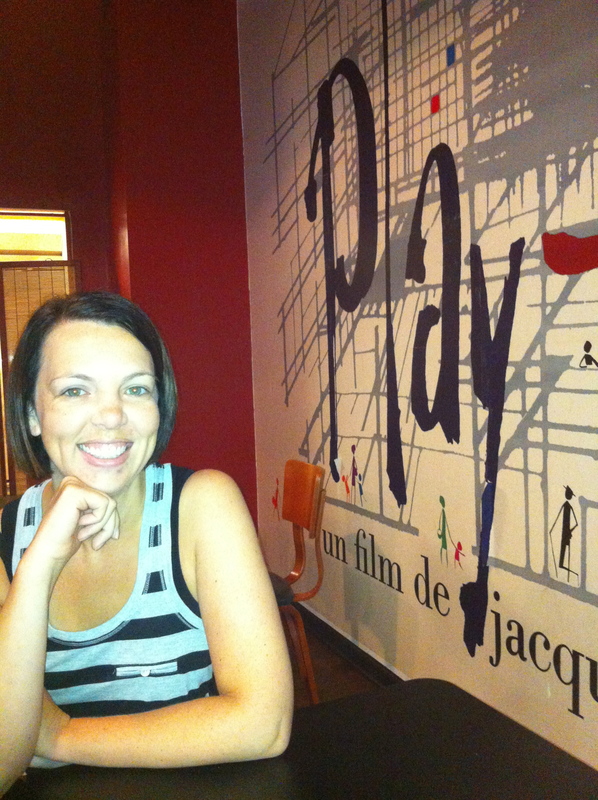 If you haven’t read the guest post my friend wrote about that bar, please do! There were four of us at the beginning of the night – up until about 11PM. The bar was just beginning to get pretty busy, and one of my friends was feeling the effects of the night, while the other two were just beginning to map out the rest of the evening (and, as we would later determine, most of the morning as well). I took my friend Sharon home at about 11PM, and we both decided to call it a night. I texted my other friends to let them know that I’d be happy to go back and pick them up if they needed a ride home because clearly there was some partying going on! I stayed up until ~1AM, and then slept with my phone under my pillow, awaiting that call. It was about 5AM when I received a call to open the gate and allow my friends into my complex. At that point, I was quite pleased with my decision to stay in. Sharon and I are both early risers, so we knew we’d have time to kill before our other friends woke up and would be ready to move (other than to grab the bottle of Advil!). I suggested that we try a place I’d read about several times: Good Girls Go To Paris Crepes. I ‘m not a big breakfast person, but I really wanted to check this place out. It’s only 15 minutes from me, in Midtown Detroit – right near the Detroit Institute of Arts. So, Sharon and I braved the rain and headed to this charming little restaurant. 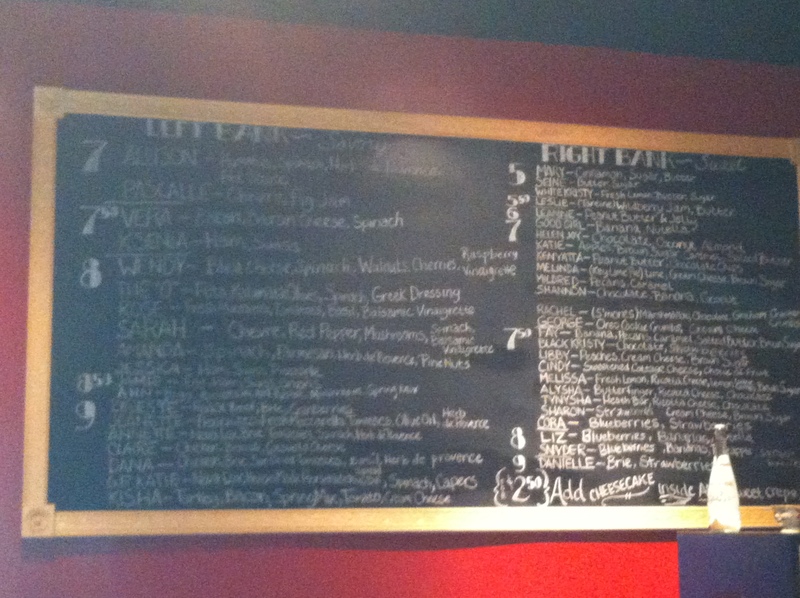 The menu is pretty expansive – a large blackboard provided two columns of options: Savory or Sweet. We sat down in a quaint room off to the side and had a nice conversation while we waited for our breakfast. When our plates were delivered, they looked divine! I chuckled, because I really don’t like ham at all, and I was served “Andrea’s Special” – which is a modification of the “Ksenia”. 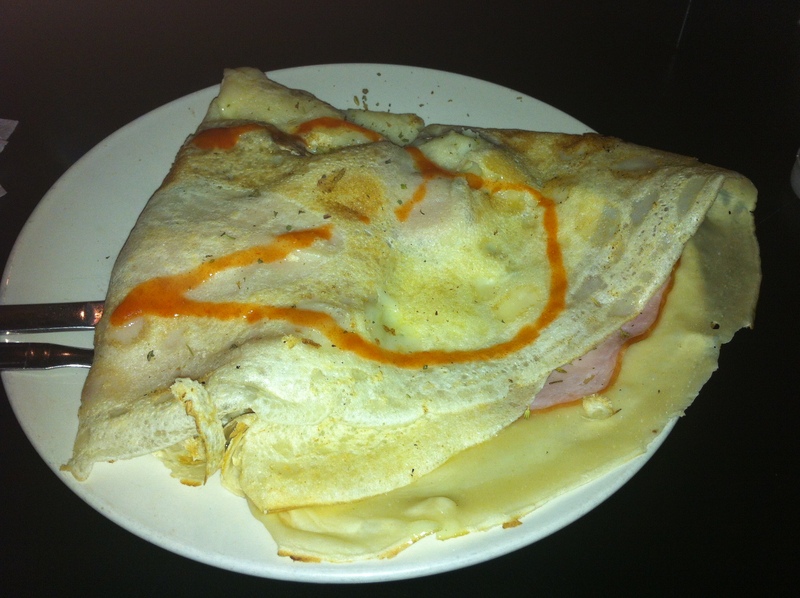 The crepe was filled with ham, swiss cheese, mushrooms, and was topped with herb de provence and hot sauce. And, I loved it!! The ham was sliced very thinly and was not overpowering or overly salty, so it worked for me. Now, mom and dad, don’t be getting any ideas! I’m still not ready to have ham for Easter dinner (or any other holiday! ), but this was no Honey-baked ham. It was a perfect complement to the other ingredients. Sharon’s “Vera” crepe was also excellent (we exchanged bites). 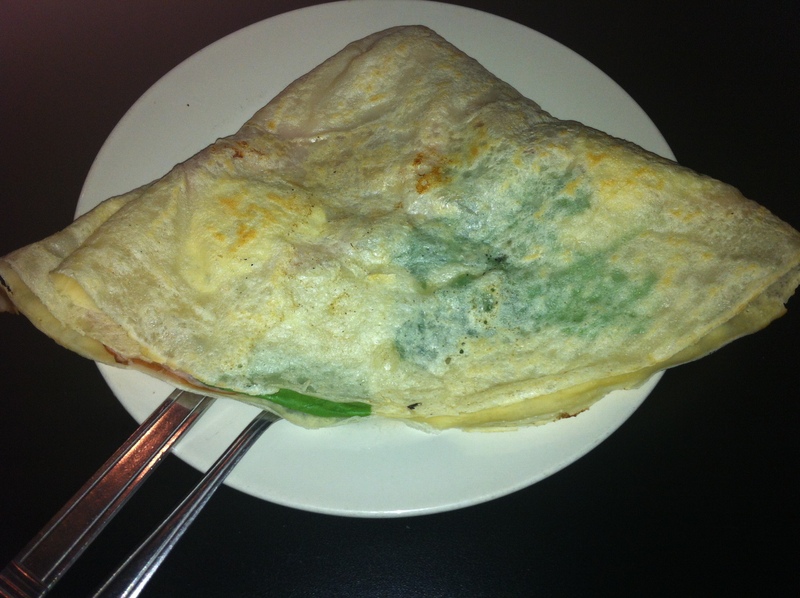 The creamy cheese, spinach and ham were a delightful combination. The crepe was decadent, but not in an overwhelming way. It was a great experience – the food was relatively inexpensive (and I thank Sharon for treating me to this delicious breakfast! ), was served quickly, was a perfect portion size, and was delicious to boot! I’m really glad we ventured out on a soggy Sunday morning to give Good Girls Go to Paris a try! Andrea, if you’re reading this, thanks for choosing a really delicious breakfast for me! I don’t know that I ever could have a made a decision on my own!